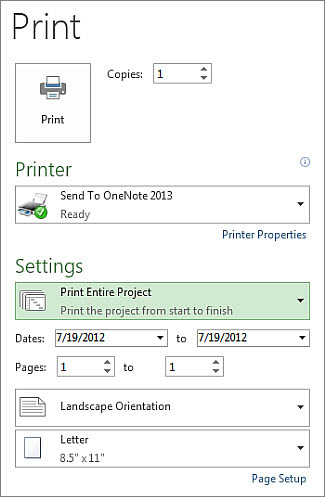 Before you can print specific tasks, summary tasks, or just a snapshot of this month’s work, set up your view to show only the work you want to print. Choose the right view you want to print from. Under Settings, pick Print Entire Project, and then click Print.